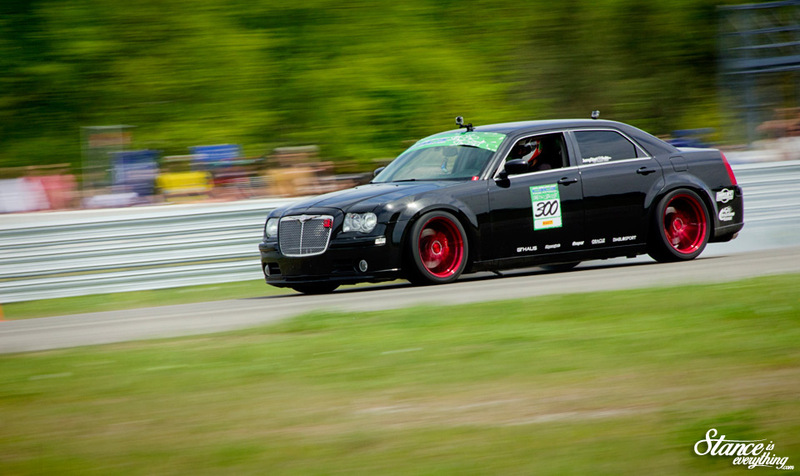 At last year’s Canadian Sport Compact Series season opener one car on the road course caught my attention and held it. However it wasn’t the oracle colour changing halos, or the fact that it was a big fish in a small pond that initially drew my eye, what really had me looking was a brief glimpse of a familiar logo as it roared past the straight away. On the cars next lap I paid closer attention and sure enough there on the back quarter was the Air Lift Performance logo. Someone locally was doing what many thought infeasible, or simply impossible. Tracking on air. Day in and day out people make unsubstantiated claims that air ride belongs nowhere near the track, and anyone that thinks otherwise has simply drank a significant amount of marketing Kool Aid. 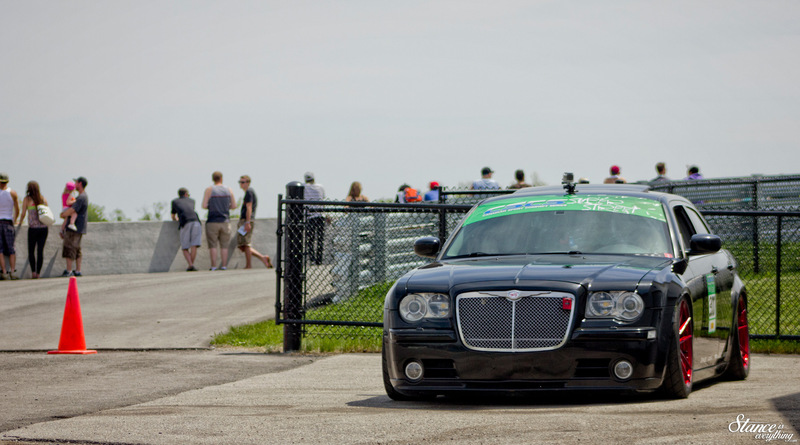 However modern air suspension has progressed exponentially over the past few years and performance oriented kits, such as Air Lift’s, share many similarities with your more traditional performance coil over. Both have damping and camber adjustment, as well as adjustable bodies and really, save for the air spring, they are essentially identical. 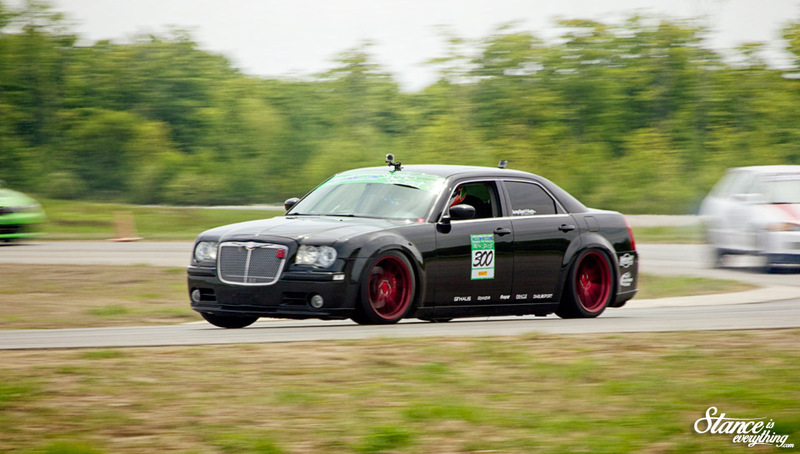 While Christian has done a good job of silencing keyboard mechanics, simply by repeatedly driving his car on the track, his choice to run air suspension on his 300c SRT8 wasn’t done just to silence nay sayers. Christian owns CJR PERFORMANCE a local performance shop specializing in Mopars, and he is a firm believer of the run what you sell philosophy and there’s no way he would have felt comfortable selling a product with Drive It, Show It, Track It on the box unless he did exactly that him self. Tasked with the job of keeping a large car planted, and competitive Christian reports that the Air Lift set up –complimented by Hotchkiss sway bars and upgraded end links– has done a tremendous job and he wouldn’t hesitate for a second putting it up against the other coil over options available for the platform. 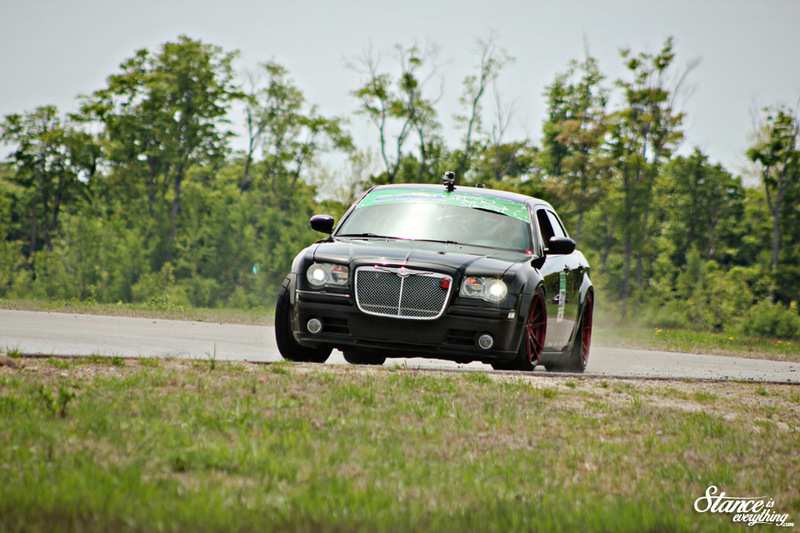 In his first year as a road course competitor (previously Christian terrorized the drag strip) he placed fourth over all in the Canadian Sport Compact Series Super Street Rear Wheel Drive class. No small feat considering his competition consists of some very fast, very seasoned competitors. To keep up with the lighter cars in his class Christian couldn’t rely on suspension alone, so work was done under the hood as well. The stock block has been retained but the factory heads are history, with Thitek Craig Ported Heads with titanium retainers taking their place. 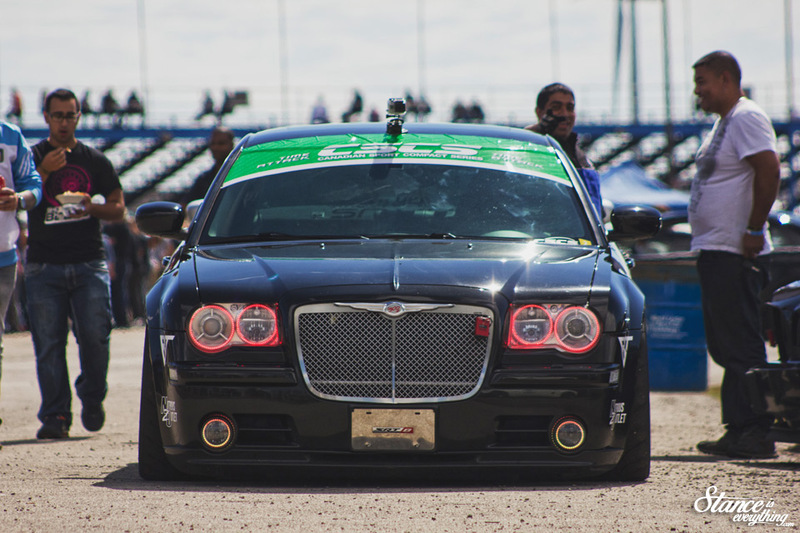 A Bill Briggs cam also adds to this cars get up and go while giving it a significantly angry idle note. 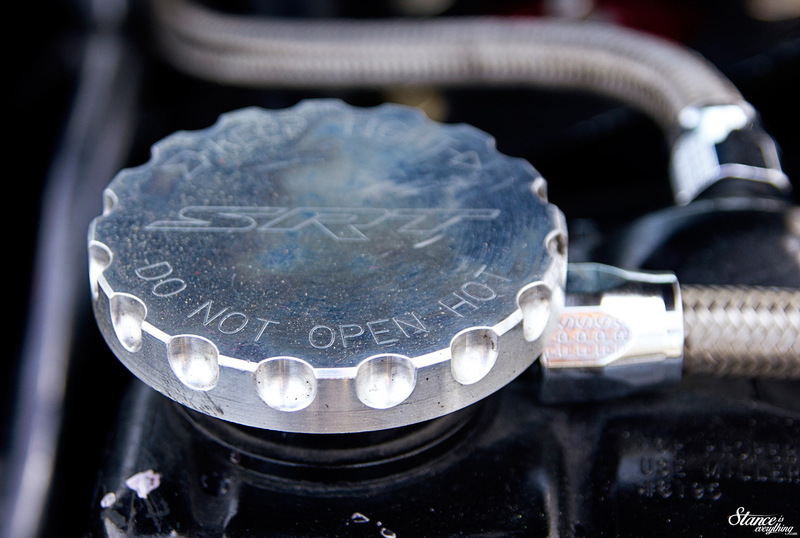 The stock intake manifold has been ported, and a 90mm throttle body has also been thrown into the mix. A four-inch cold air intake supplies the O2, while the growl mentioned in the opening paragraph comes from Kooks long tube headers and a GTHAUS Exhaust. 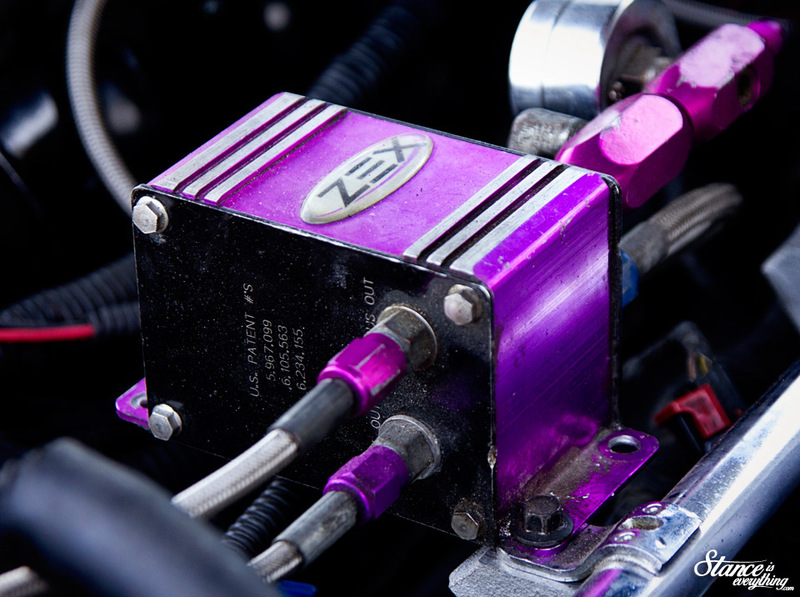 For the times this car does hop back on the quarter-mile a Zex nitrous system remains. 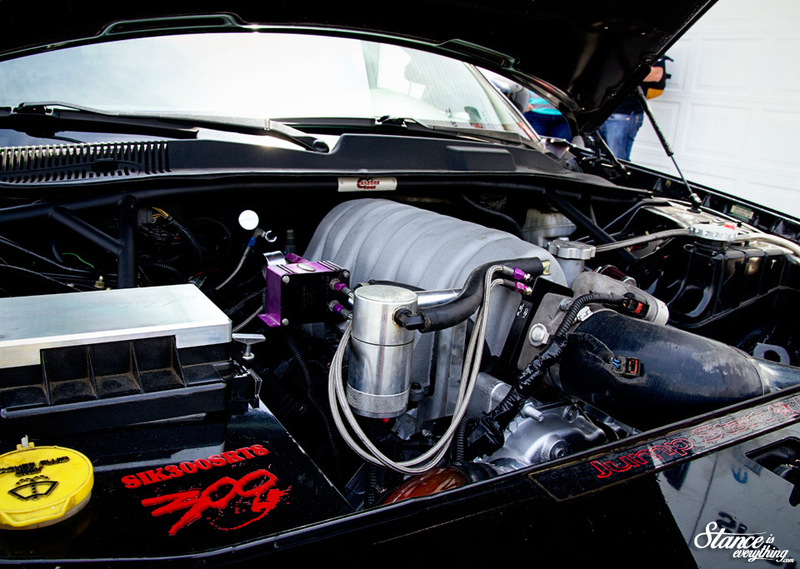 The automatic transmission has been beefed up for track duty with a 4200 high stall Paramount Performance Torque Converter and an upgraded Challenger 3.91 rear differential puts power to the ground. Footwork is provided by Rohana, another brand Christian sells, and this year he’s putting their R2 flow formed wheels to the test. 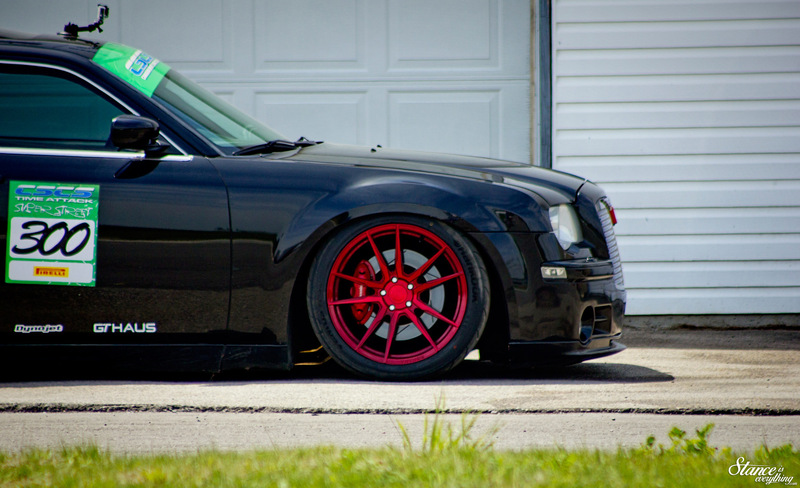 Wrapped around the anodized red hoops are 285/35 and Toyo R88 tires, behind the Rohnanas are SRT8 Brembro brakes. While not your typical road course car by any stretch of the imagination Christian maintains that the car does a great job of splitting duty between show car, track car and all around weekend toy while maintaining the creature comforts Chrysler shipped it with. They say you can’t have your cake and eat it too, but Christian seems to be doing a damn fine job of having it all.